Children and relatives of officials being promoted at a rapid rate at state agencies are nothing new in Vietnam and it is actually becoming more common. No one was surprised when Ha Quoc Vuong Anh, Dong Hoi City Deputy Party Secretary's son, was employed and promoted as a member of the standing committee and deputy party secretary of the city youth union for the 2012-2017 period right off the bat. One month later, he was promoted to the city youth union's party secretary. While there was no surprise, it did not mean there was no outrage. The inspection committee of Quang Binh Province People's Committee concluded that both the quality and quantity of candidates for the city youth union's party secretary position were too limited which had badly affected the reputation of Dong Hoi City Deputy Party Secretary Ha Quoc Phong, Anh's father. They asked Phong to take a lesson from this incident and he was just reprimanded. 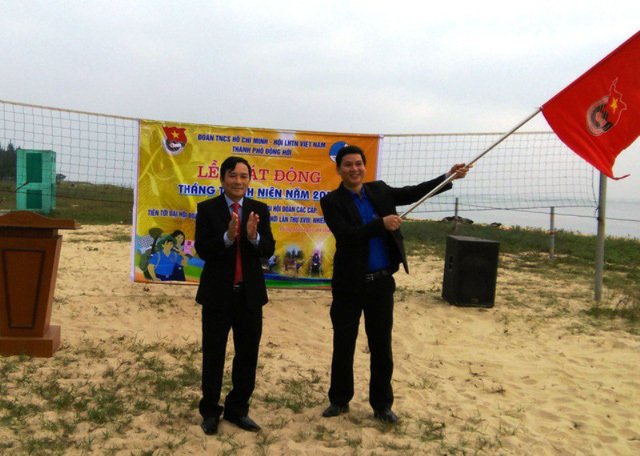 When being asked whether the promotion of Ha Quoc Vuong Anh is too fast and in accordance with the procedures, Dong Hoi City Party Secretary Le Van Phuc affirmed that the promotion followed procedures and was not affected by any outside force or higher-ups. Many people were even more surprised at the answer. If the promotion followed the procedures then why Ha Quoc Phong was reprimanded and must take a lesson from it? Everyone understands that Ha Quoc Vuong Anh's promotion was too fast, but it's no faster than the promotion of Vu Quang Hai, former Minister of Industry and Trade's son to deputy CEO of Sabeco, or Vu Minh Hoang, nephew of deputy head of Bac Ninh Province Police to deputy director of Can Tho City’s Investment Promotion Centre. Those legal and rapid promotions only happened to family relatives, not other new employees no matter how talented they might be. It’s enough someone have to exclaim, "following procedures means employing your relatives, as it will be a complete success."